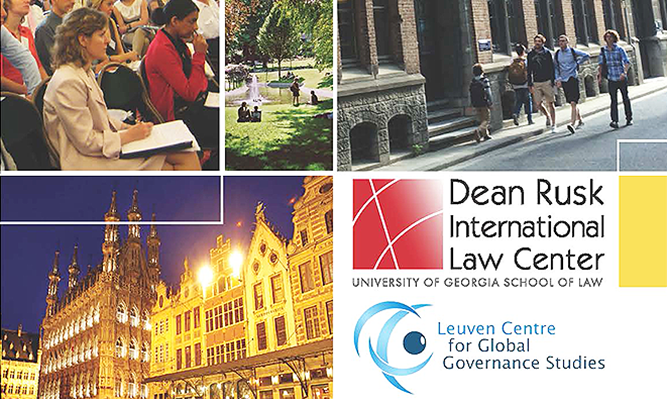 The Dean Rusk International Law Center at the University of Georgia School of Law and the Leuven Centre for Global Governance Studies at the University of Leuven are proud to partner in presenting the 2019 Global Governance Summer School. 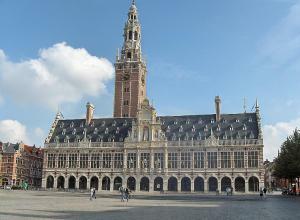 Core events, including an expert conference, will take place on the beautiful campus of the University of Leuven (below), one of Europe’s premier research institutions, during the first week of July. At Leuven, Georgia Law students will join a target audience of: advanced students in international law, international relations, international political economy, and international and European studies; and practitioners and policy experts who wish to update their knowledge on developments in global governance and international law. Registration for non-Georgia Law students will be available soon; Georgia Law students may seek further information by contacting Amanda Shaw, Associate Director for Global Practice Preparation, at ajshaw@uga.edu. Through lectures, discussions, and group projects, students will explore global governance – how state, regional, and international legal regimes, plus individuals, corporations, intergovernmental and nongovernmental organizations, networks, and other non-state actors, interact. A range of global challenges will be discussed, and topics may include trade and sustainable development, peace and security, trafficking and other crimes, intellectual property, the environment, human rights and the rule of law, and migration. The full program is forthcoming. Students will participate in several days of classroom instruction, and a professional development trip in Brussels, including institution and law firm visits. Instructors will include faculty from both UGA School of Law and the University of Leuven. Students who complete the School of Global Governance will be awarded a diploma; however, no institutional or academic credit is available for participation. The European journey will continue for Georgia Law students with several days at The Hague in the Netherlands, site of many international legal institutions. 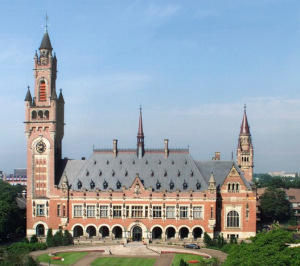 Visits will include several international courts and tribunals headquartered in The Hague, such as the International Criminal Court, the International Court of Justice (left), and the Iran-U.S. Claims Tribunal. Cultural excursions will also be offered. Applications are now open for the Summer 2019 Global Governance Summer School. All applications must be submitted through the University of Georgia Office of Global Engagement's Study Away portal. Visit our program page to apply. Applications accepted on a rolling basis through April 1, 2019. For more information, contact: Amanda Shaw, Associate Director for Global Practice Preparation, Dean Rusk International Law Center, University of Georgia School of Law, at ajshaw@uga.edu or (706) 542-5168.